Moshe, you are a gentle soul with the heart of a warrior, thank you for sharing your knowledge and insights. You have a great way of making something very effective and, in the right situation, deadly, seem very approachable to even the most timid of people. Israeli Krav International (IKI) is under the direction of Moshe Katz. During the course of his 30 years in martial arts Moshe has trained with some of the greatest instructors around the world. He is certified by Wingate, Israel's national Martial Arts certification board, and by Itay Gil; his instructor and friend of many years. He spent several years working for the Israeli Board of Education as a Krav Maga instructor, adviser and contributor. He spent two years training the Jerusalem Elite security guards. Over the years Moshe has been recognized world-wide for his Krav Maga abilities and innovations and has received numerous awards and honors from military, police, civilian and governments. He has been featured in news broadcasts, TV and radio, newspapers and magazines throughout the world. In 2010 he was inducted into the International Martial Arts Hall of Fame as instructor of the year. In 2014 he was inducted into the American Black Belt Hall of Fame as International Krav Maga instructor of the year. For a more complete list of certifications please see. Ranks and Awards. IKI is a fiercely independent organization, we are not affiliated with any other organizations and we do not join other associations. As such we politely turn down invitations to join international associations of any kind. We do promote friendship with all organizations. Civilians and school children of all ages. 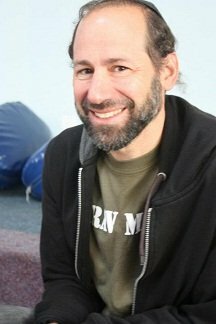 Moshe worked for the Israeli Ministry of Education as a Krav Maga instructor and contributed to the program for school children aged 6 - 18. "From all my students I have learned"
IKI Black Belts world wide.